We wanted to share this great story from Colleen, a farming friend originally from near Clarkfield, MN who now lives in the Redwood Falls, MN area. Growing up on a family farm was a wonderful experience and my Dad made an excellent investment by buying land, and as he would say, “making a living off the land”. Farming was in his blood as he came from a long line of farmers. We had a quarter section and it was enough with the size of equipment that he had. There was no GPS or automation at that time. Some say the good old days and I have to agree! However, he was always with the times and understood the changes that made sound sense. He would store grain and wait for the market to go up. Us kids were not really informed of the “financials or the marketing” that the old man did. That was kept for Mom and him to worry about. When the 80’s hit I don’t think that I realized just what a bad situation we were in; farming at that time. But, the evolution of time changes it all. The land that he bought for just over $200 an acre (a lot of money in the 60’s) is now selling for around $6,500 an acre. Depending on your location, land could be selling for a whole lot more! Dad would listen to the radio and get the news on corn and soybean prices; that was the old style of grain marketing. 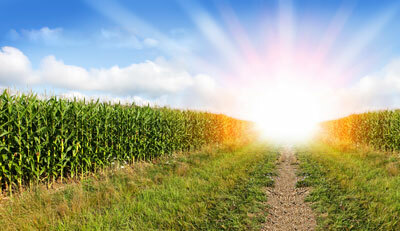 Don’t get me wrong, we still listen to the radio, but now we have an organization like Corn Capital Innovation that is the pioneers in the field of providing a total farm business solution. They boast the phrase “we change farmer’s lives forever” and it is true! I wonder how things would have been different ‘back in the day’ if we had this resource to turn too?! So take advantage what we have now and contact Corn Capital Innovation for assistance with Production, Crop Insurance, Marketing and Financial Management. Grain Marketing is the most difficult job every grower will face. The most successful farmers utilize grain marketing specialist to help them make decisions. Stop worrying about hitting the highs and lows… Increase profitability more than you ever thought possible! Do this with the assistance of Corn Capital Innovation. Contact Us today and we’ll help you put the four components of farm profitability to work! « The Papa Syndrome: Farming Just Like Your Dad or Grandfather?